Blockchain technology has been billed by some as the next big thing, and there are already some compelling implementations that justify the hype. The distributed record system lies at the core of cryptocurrencies like Bitcoin, which are undeniably influencing the finance world. And its disruptive potential extends well beyond virtual money. Decentralized application platforms like Ethereum use blockchain tech to power custom software that can have broader implications. 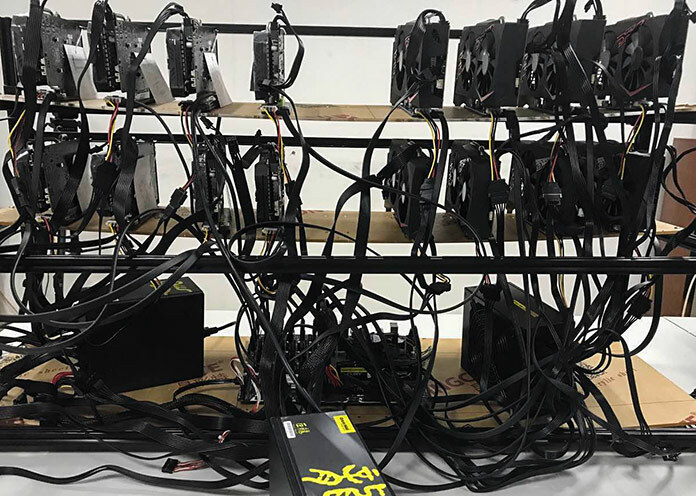 Strong encryption provides the underlying security, and GPUs are so good at the associated number crunching that they’re being deployed in massive mining farms. 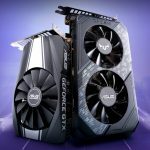 The accompanying surge in demand has been strong enough to affect the availability and street prices of graphics cards meant primarily for gamers. 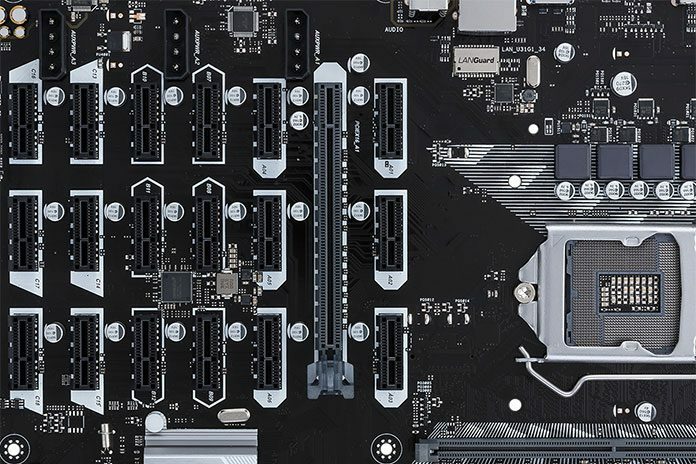 Mining is all about maximizing the number of GPUs per motherboard, so our new ASUS B250 Mining Expert has enough PCIe slots for staggering 19 individual graphics cards. We also beefed up the power delivery to ensure stability with so many cards and tweaked the firmware to simplify setup and diagnostics. 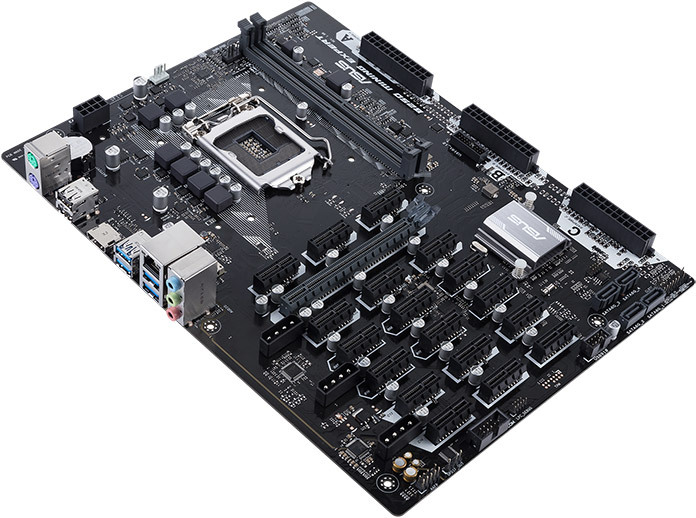 The result is a motherboard with unmatched capacity that you can tap into easily. Much of the appeal comes down to basic math and economics. With more PCI Express slots than any other mining motherboard, the B250 Mining Expert can share more GPUs with the same CPU, memory, and storage. That lets you invest a larger portion of your budget in the components that actually affect your output. Compared to other the alternatives, the B250 Mining Expert enables higher hash rates not only per machine, but also per dollar spent overall. The impressive payload of slots is ahead of the game in more ways than one. 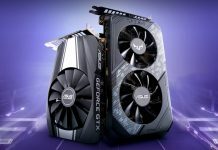 Graphics drivers from AMD and NVIDIA currently restrict systems to eight GPUs, so even if you draw from both camps, you’re effectively capped at 16 total. 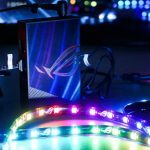 However, we’ve been working closely with AMD on a new driver that removes the upper limit for Radeon GPUs. Scheduled for release in Q4, that driver promises to fully unleash the Mining Expert’s potential. Running so many graphics cards simultaneously pumps loads of power over PCI Express. 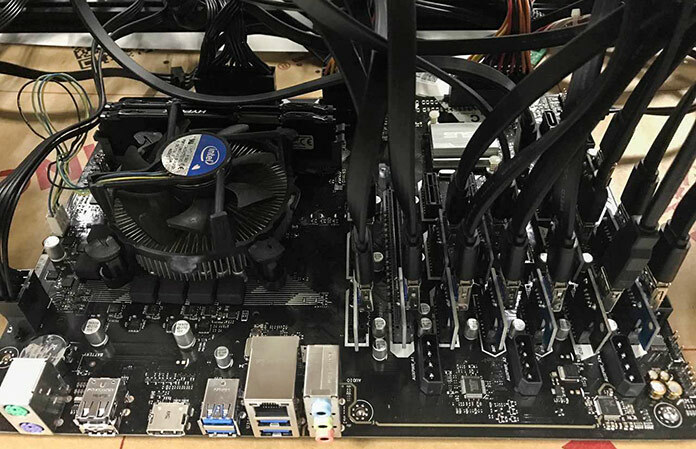 To ensure stability and prevent damage to your precious GPUs, the B250 Mining Expert can draw from up to three PSUs. Each one plugs into a separate 24-pin connector wired to its own block of slots, so you can scale up smoothly with the number of cards. 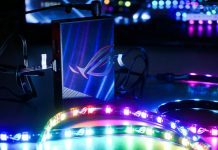 Unlike with some mining setups, using multiple PSUs doesn’t require modifications or manual startup sequences. 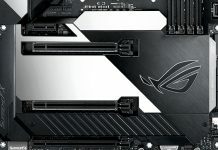 All you have to do is plug your PCIe extenders into the same power supply as the corresponding slots. Integrated boot-up diagnostics make it easy to troubleshoot your farm. 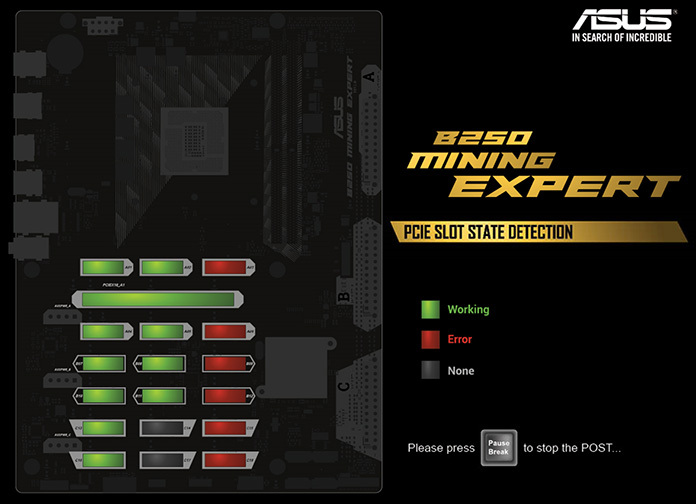 At POST, the B250 Mining Expert displays the status of each PCIe slot on a graphical board layout, allowing you to quickly spot problems with connected GPUs. This visual is shown for five seconds by default, which is long enough to scan for red flags, and hitting the Pause/Break key suspends booting if a longer look is necessary. 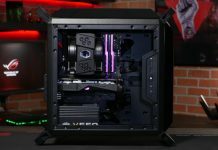 The firmware includes a special Mining Mode that’s activated at the factory, so there’s no need to enter the UEFI to make changes. It enables Above 4G Decoding, which is critical for supporting large numbers of graphics cards, and disables the Launch CSM, which lets the motherboard and graphics UEFIs synchronize with each other. Mining Mode also sets the PCI Express interface to run at Gen 1 speeds. Connecting so many cards to a single motherboard requires extension cables that can exhibit issues at full throttle. Dialing back the link speed improves compatibility and stability without compromising your hash rate. Extension cables are necessary because the B250 Mining Expert squeezes all of its slots into a standard ATX footprint. 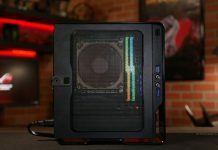 One slot is an x16 that natively supports full-sized graphics cards for additional flexibility, but it defaults to x1 mode so that all the slots are available right out of the box. 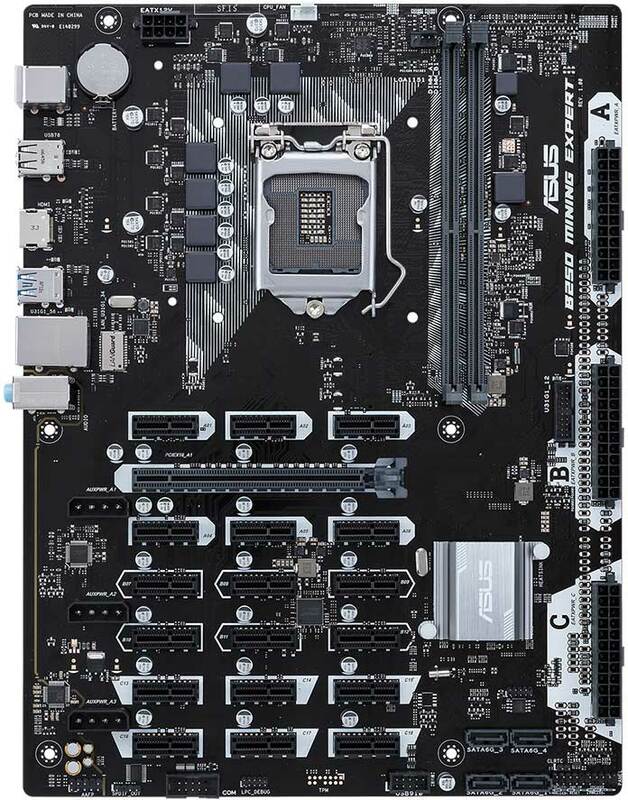 PCI Express lanes come from Intel’s B250 chipset and whatever processor you plug into the LGA 1151 socket. Mining demands little of the CPU, so you can get by with an inexpensive Celeron chip starting at only $40 USD. 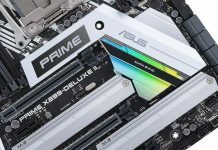 Add up to 32GB of DDR4-2400 memory (our recommendation for Win10 10 rigs that tap into the board’s full GPU capacity) and an SSD via one of the four SATA ports, and you’re all set to mine blocks. 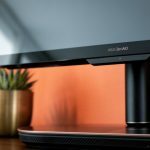 HDMI output for the CPU’s integrated graphics lets you power a monitor while using mining-specific cards that may lack display outputs. 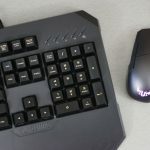 There are enough USB and PS/2 ports to connect a KVM or separate keyboard and mouse, and the Gigabit Ethernet is based on a reliable Intel controller that will keep you online. 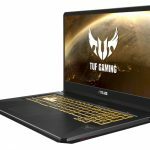 Size ATX, 12" x 9.1"
The B250 Mining Expert brings renowned ASUS engineering and stability to the burgeoning mining scene. Purpose built to maximize hash rates for your money, it’s available from the retailers listed above for $169.99 USD.